« Post from Wifegrit – Getting Old? My husband, Bullgrit, started this blog in 2007. He started the blog as a creative outlet, as a hobby. He has a degree in English and is a writer/editor for his full time job but he doesn’t always get a chance to do creative writing. Last year he added his t-shirt designs/store to his blog. Now his goal is to make this his full time job and work out of our home. Selling his tee shirt designs and writing his blog is his dream job. His tee shirts are hilarious and he gets positive comments every time he wears them. Yes, people actually stop him and comment on his tee-shirts. At the grocery store, Target, the airport, even at Walt Disney World and The Great Wolf Lodge. It is so much fun to see people’s reactions and hear their comments! But I don’t hear all of them. When we are out together, I often miss the comments. Yes, I have heard some, but between dealing with the boys and shopping, I miss others. I miss enough that it has become a running joke with us that he claims he only gets comments when I step away from him for a moment. So the next step into turning this into a successful business is to start marketing the website/shirts . You can have the coolest product in the world, but if no one knows about it, you can’t sell it. He is working with a great, local company, Triangle Direct Media, for guidance and advice. Because we have no clue about marketing. Starting your own company is not an easy task. It takes so much time and effort. It is a huge commitment. Bullgrit comes home from his full time job, spends some time with us, then goes to his home office and works on his website. He also spends time on the weekend working. He really, really enjoys designing t shirt slogans and writing his blog. He loves it. I am confident all his hard work will pay off in the long run for our family. Why are you reading my thoughts and not his? 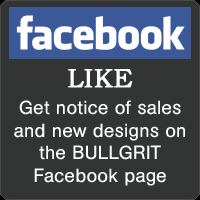 I am trying to give Bullgrit more time to work on getting this business up and running. I want to thank you for reading and following my husband’s website. And taking time to read my thoughts. Three books Gorilla Marketing, Quiter, and entreleadership are a must for him to read go to daveramsey.com and you will find them all. if he can make this work prepare for a monster for about a year. Inhome bussiness-person is one of those peeps that can be totaly on a high one minnute and total depression the next. That’s awesome! I totally hope it works out that this can be his full-time business. Having my own business and working from home was one of the best moves I ever made. Another good book is Your Money or Your Life. Thanks Grant and Ronda. I’ve read Guerilla Marketing, (even bought it to keep on my shelf), as well as a few other relevant books like it. I’ll look up and read the others you mentioned, too. Probably upwards of half my “work” time is spent reading either books or online articles to give me info on how to do everything I want and need to do for this business. 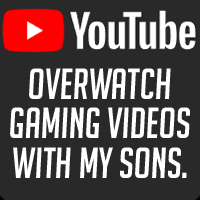 give me some stickers. send me a logo too, im looking at a custom head, ill put you on there. just the web site addy logo. that will help….